“Hypocrite, you’ve always said you’d never use an iPhone as your main smartphone!”. Did you really buy an iPhone X? Why?” “Are you still using that iPhone?” “Aren’t you tired of it?” These are just some of the questions that a convinced Android user (or more specifically, a Google Fanboy) like me has to deal with almost daily. At the beginning I was just curious about using an iPhone, but after a month it became something more. Yes, I’ve been found guilty of owning an iPhone X, and for some time now we’ve discussed and joked about this during our live streams on Fridays. The only explanation I can offer for my choice to buy Apple’s latest smartphone is that I was curious. The iPhone X is the first smartphone from Apple that has caught my attention after many years of dubiously "innovative" products. This time Apple has launched a product in line with the times and this is of course pleasing to tech enthusiasts such as myself (unlike when Apple decided to ditch the headphone jack). Despite having always been a satisfied Android user, I decided to take this (expensive) leap into the future of smartphone hardware. Apple really has given this some thought and left its comfort zone. Many other manufacturers have (or will) follow this. My first impressions of the iPhone world were excellent, which I've never been able to say when I've tested older models, which made me want to run a mile away. Even before switching the iPhone X on, you immediately feel that you are holding a good quality product that could compete with the latest Android flagships. The size of the smartphone is perfect and sits well in your hand, and it’s clear that it has been produced extremely well. When I switched on the display, I was surprised again: Apple finally decided to use an OLED panel and as always, Apple is late with these newly developed technologies. This step in the right direction wasn't timely but its definitely pulled off with style. The panel used is produced by Samsung which speaks volumes about the quality. In addition, Apple has a long history in designing impeccably calibrated displays and this OLED is no exception. Why are OLED screens better for our smartphones? As for the recess on the display (the so-called notch), I thought it would annoy me a little more than it actually did. After a couple days of use I got used to the notch, and started to look at this original display from a different point of view. Now, it doesn’t seem like a piece is missing to make room for the FaceID sensors and the front camera, but it seems more like a panel that extends the hardware. I see it as a great addition to the classic rectangular shape that we are used to. Some people think that I’m just trying to make excuses and justify why I made the choice to buy an iPhone, but it has genuinely won me over! One of the most interesting features that I could not wait to try is the FaceID. The set-up is impressive and extremely fast. The sensors in the notch shoot thousands of infrared rays towards you, thus creating a 3D model of your face that will be used for facial recognition each time you unlock the phone. Saying that, it’s not as fast or reliable as the Huawei fingerprint readers. I was however amazed at how it is able to recognize and unlock the smartphone even when I was wearing a hat and scarf, or even in the dark. The procedure is fast, and if the phone for some reason doesn’t recognize you within it’s set time period, you will have to enter the PIN code as usual. There is no second attempt. During testing the device, there were only a small percentage of occasions where face recognition failed, and this was mostly when my eyes or nosed were covered. What’s also interesting is that although the iPhone recognizes the user, it won’t show notifications and therefore does not unlock unless your face is completely aligned with the smartphone and you’re looking right at it. Basically, you will have to actively be giving your attention to the phone, so rest assured that no-one will be able to unlock your smartphone while you are sleeping. Getting a new smartphone is the best feeling in the first few weeks, then, we have to face the reality. Using it everyday we begin to notice some problems, and the iPhone X is no exception. The same kind of issues occur with every iPhone and iOS version. There are little things that damage the overall experience. As an Android user, I’m accustomed to some small conveniences that in my opinion, shouldn’t be missing on an iPhone. The settings are a disaster. The fact that Apple has not yet been able to reorganize the settings to make them easier to reach is annoying. The main settings are grouped with a logic that is still unclear to me. Some are reached in different ways and the long list of apps that follows the main menu are a mess. Also the fact that the settings in some system apps are not directly reachable from the app itself is irritating. If I want to lower the resolution in video recording to save some space, why should I go back to the home page, open settings, look for the camera and finally change it. The notification center also is pretty disappointing, so much so that Apple may as well redesign it from scratch. App notifications are never grouped, so if Instagram sends you 50 notifications on iOS, you’ll find 50 different entries in the notification area. Notifications that you do not read are marked as old and are hidden on the lock screen and when you unlock it, they are placed in a different list. There is also no button to delete notifications, and we can only see the old notifications in one bulk list which is frustrating. In the system Mail app you can’t use Gmail in push, and you are forced instead to install the Gmail App. The home page doesn’t leave any empty spaces between the icons, the dock at the bottom can only contain 4 folders or icons, the information about battery percentage or Bluetooth are hidden in the control center because of the notch. The list of faults could go on and on. Of course these problems are only small, but they do add up. It might be hard to believe that I still like the iPhone X after all of the problems I listed above. The fact is, I have no idea why I like it, but I still do. Perhaps its the fact that the applications are always fast and responsive. Even Google Apps are much better on iOS than on Android. Or maybe it’s the design and size which makes it better than the competition. Or could it be the gesture navigation system FaceID or the Rise to Wake feature. Usually my adventures in the iPhone world don’t last more than a few weeks because I find better Android alternatives that make my life easier. The iPhone X practically disappears in your pocket in comparison to the latest bulky smartphones that I have used. The navigation gesture is nice to use and it feels strange to use the navigation keys when I return back to Android devices. The OLED display is high quality, and this is one of the main factors why I don’t regret my decision to get this phone. Also, I got almost double the battery life out of the iPhone X compared to when I was using the Pixel 2 XL. 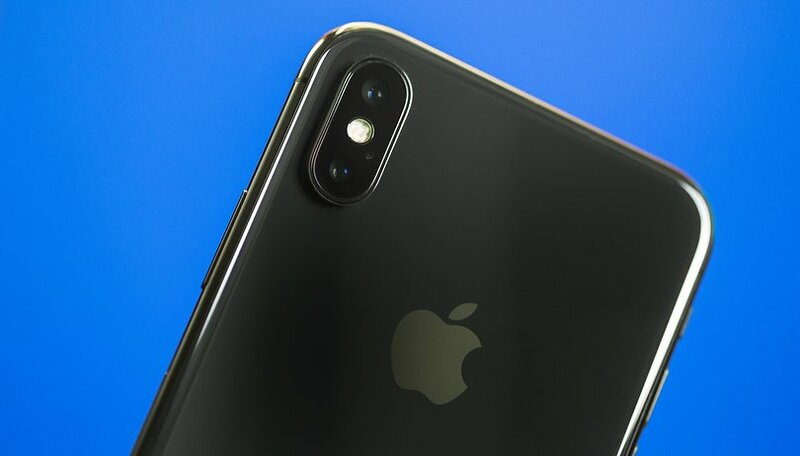 Overall, I believe that Apple have managed to create a smartphone that represents a great alternative to Android, even for the most demanding users. What do you think? Have you ever fallen for an Apple device? What can Android manufacturers learn from Apple? Members of my family stupidly bought a iPhone having previously been Android. Having spent a hour or so trying to set it up, my thinking regarding the iPhone was reinforced. Its a very very poor OS. The UI is terrible, the navigation features of the UI are terrible, the integration with other devices is terrible. Steve Jobs didn't revolutionise anything, rather he employed an aggressive marketing strategy. This is akin to any other brand, quality is not assured because they spend lots of money on marketing, or because other people have been conned by the same tactics. Now I will concede that flagship devices are across the board too expensive, but at least with the fantastic Galaxy S9 you have excellent hardware coupled with progressive software enhancements, or any other Android device. Apple is content to provide mediocre hardware with stagnant and unintuitive software, which has the UI which a school kid could improve with a basic understanding of design and development. They only make incremental progress when forced to by the outpaced march of Android, and then will only use the minimum amount of improvement whilst increasing the purchase price over and above any actual cost to Apple 💩. Fans of the iPhone will say that because of the closed system and basic UI that apple 💩 devices are able to interact with a wealth of secondary devices (which are priced considerably higher), whilst forgetting that Android can connect to any device using a suite of options (Bluetooth/NFC/WiFi) and which a large number of manufacturers with a wide range of products and prices. Sir Luca Zaninello clearly you spend more time on Android smartphones than IPhones. Have you purchased apps on both the platforms? I mean you must have, otherwise how could you have premium experience on any smartphone whether iPhone or Android. For instance, I have purchased apps worth hundreds of dollars. I would also like to know does Apple runs its own advertisement network? What type of advertisements do you see on an IPhone? Mostly on Android we see advertisements powered by Google ads sense. Yawn. An out of date and out of touch UI with poor settings and customization. Surface speed and superficial convenience don't make a power user device. Your review reads like that of a casual phone user. I really want to love Apple and iPhones, I really want to embrace the integration between Apple products. But I simply can't. Admittedly I do like some Apple product, the MacBook pro was for years a great laptop with good battery life, the iMac was a great all in one desktop. Those are the only 2 products from Apple that i liked. I really don't like the notch. I prefer Android over IOS & SIRI. I had the iphone7plus 128gb model. Had to give it a try, had it 2 months & couldn't get rid of it fast enough. The experience was definitely not my cup of tea. I went back to Samsung the s8plus and never looked back! But at least I tried it out and did not get the results I expected! I bought the iPhone X as soon as it came out, the joy lasted for about 2 weeks before I switched back to Android and a new Note 8. A lot of the faults that you mention were to blame but for me the lack of customisation is still the biggest faux Pas.